Compost Day « Bacon Time !!!!!! Because the pig is the perfect food !!!! The recent Memorial Day weekend was fantastic weather !! After a very cold winter and a cool wet spring, this was the first real set of consecutive great days of weather. This pile has been there probably since the end of last summer. I put my household food waste into the blue garbage can and let it cook in there for a time. I drilled some holes in the garbage can for drainage and ventilation. 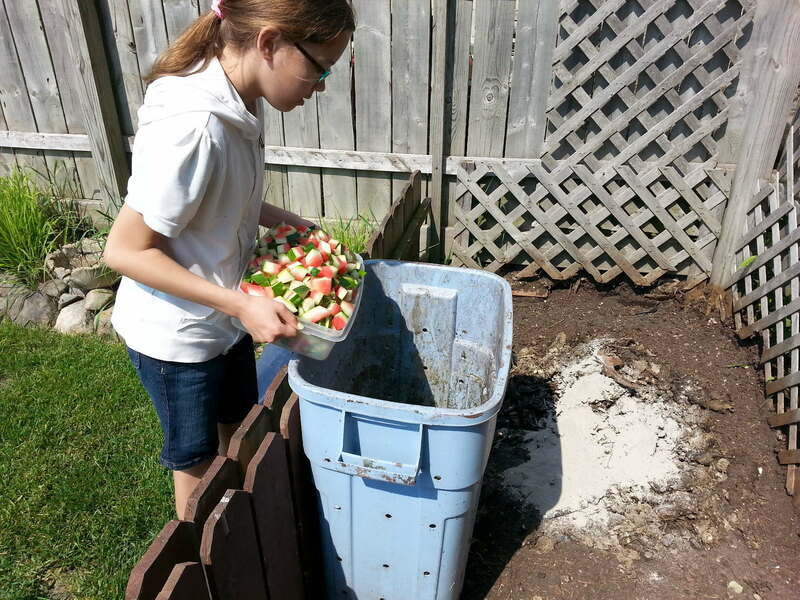 I mow and bag a lot of my garden waste, and that gets tossed in the can for cooking as well. I try not to put too many stems and stalks from plants as they don’t breakdown well enough. 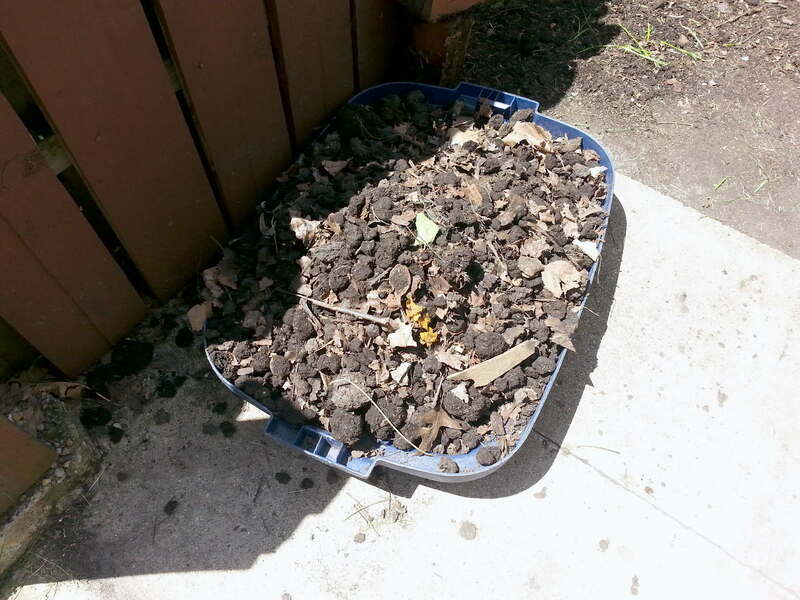 In the fall, I mow/mulch my tree leaves really fine and that gets tossed on the pile and cooks there over the winter. 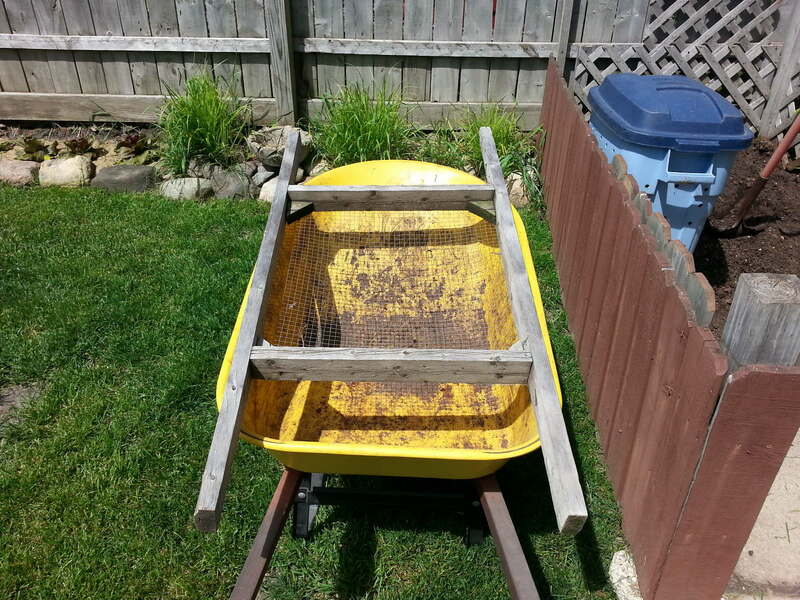 If you have a yard, you need to have a wheelbarrow. About ten years ago I made the homemade sifter. Just galvanized screen with 1/2 X 1/2 openings. 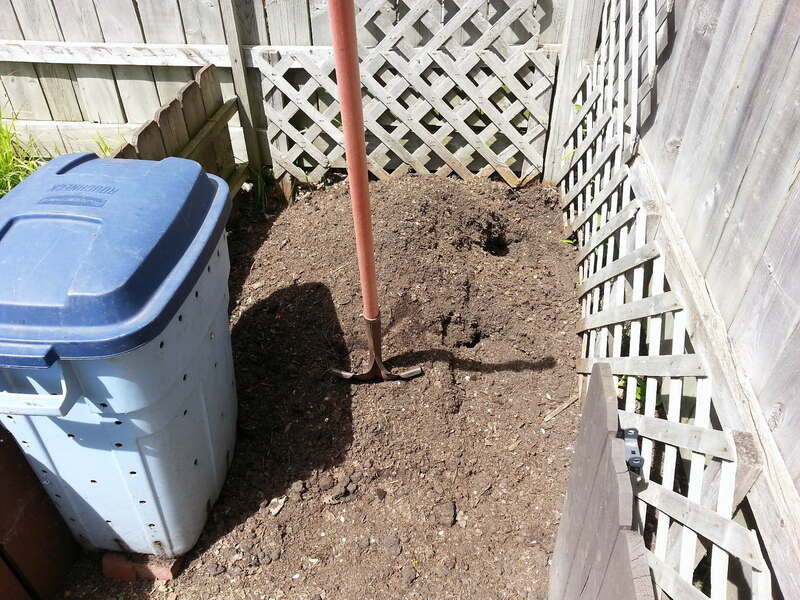 Two good sized shovels full of the compost at a time. 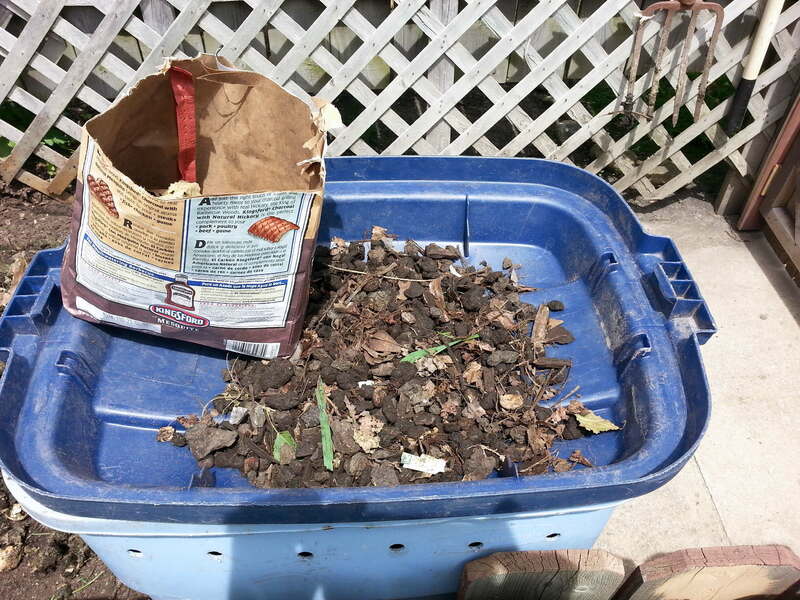 Give the screen a good shake, toss out the chunks and repeat until the wheelbarrow is full. 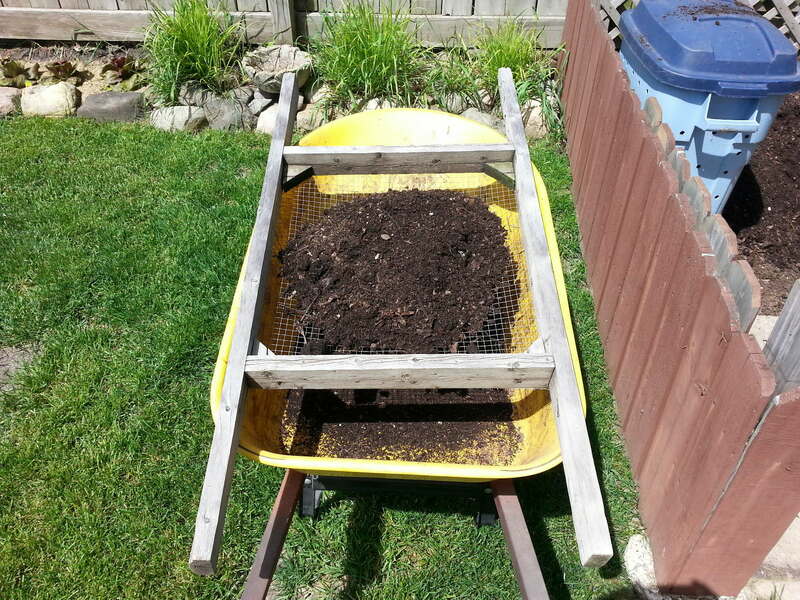 I got over two full wheelbarrows of the sifted compost. 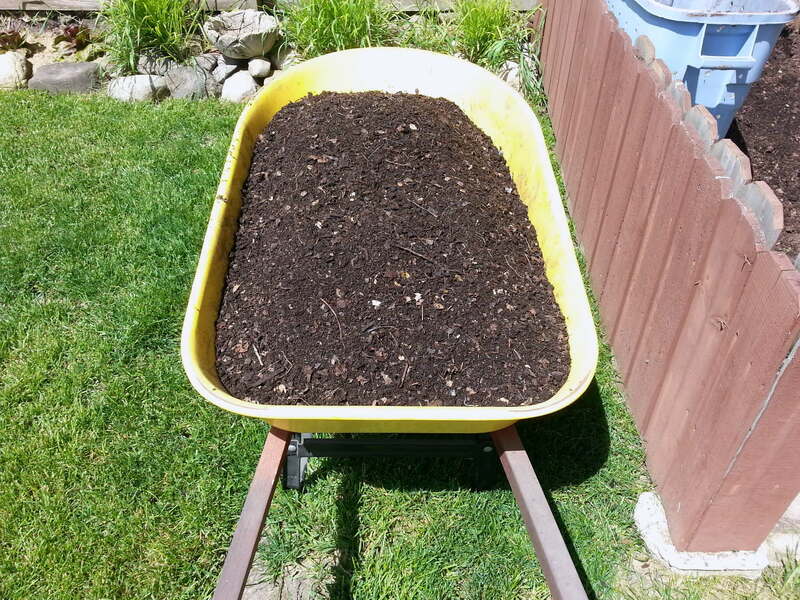 I can either use it straight up in planters or mix it with store bought potting soil or just mix it into the garden area. This is how much didn’t go through the screen. 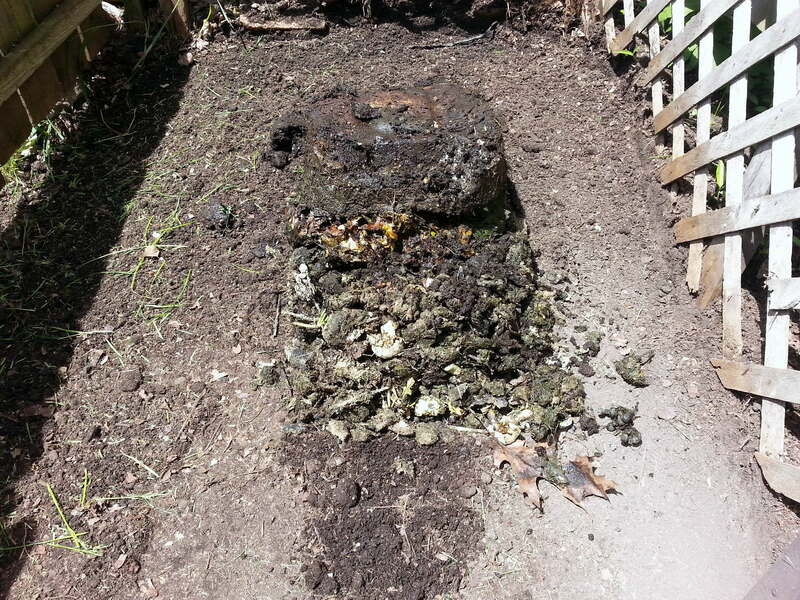 The current compost in the cooker gets dumped into the cleaned area. Getting it ready to go again. I put the chunks in a bucket and chopped it with a shovel, and after re-sifting, this is all that was left that will get tossed. 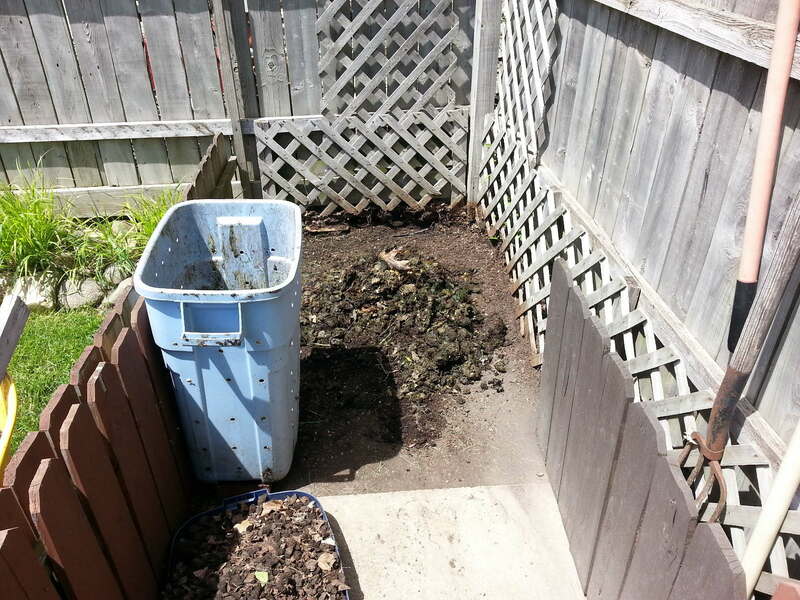 Composting is really pretty simple, but it does require a little bit of work if you want it to come out the best it can. 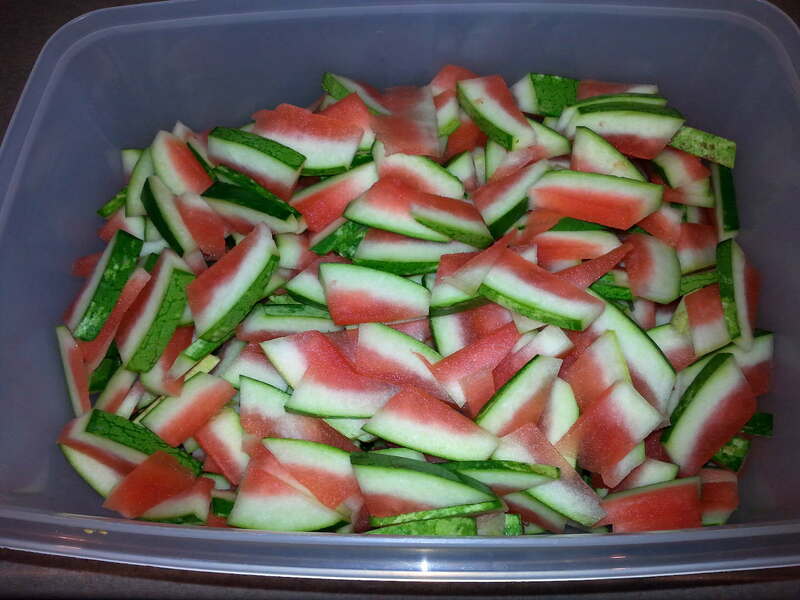 Here, I took the extra time to chop/slice/dice our watermelon rind. Also helps quite a bit if you turn it with a shovel every couple of days. And the process begins again !!! 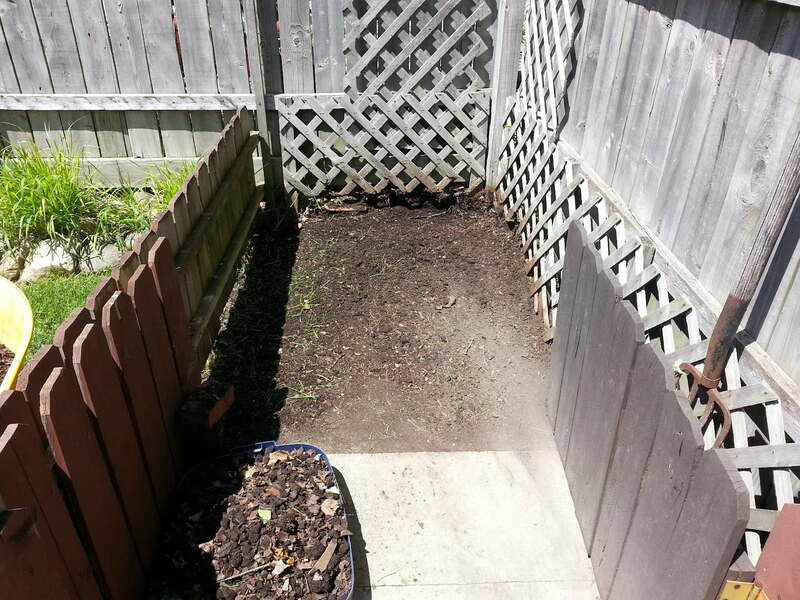 This entry was posted in Enviroment, Things that are just cool and tagged compost, compost pile, composting, memorial day, wheelbarrow.